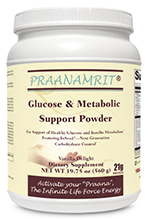 PRAANAMRIT® Digestive Enzyme is a comprehensive digestive enzyme formula that can assist in the breakdown of a wide range of proteins, peptides, fats, complex carbohydrates, sugars, and fibers. 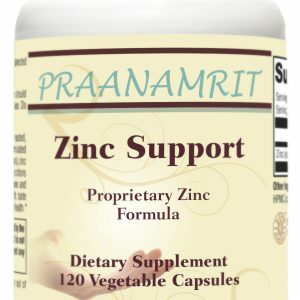 Provided in vegetarian capsules, PRAANAMRIT® Digestive Enzyme can be used by children or adults to assist more complete and proper digestion of food as needed. 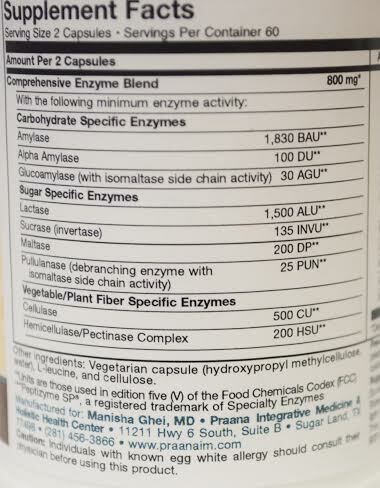 Enzymes play a crucial role in digestion, as they break down food components into molecules that can be readily absorbed and assimilated by the body. 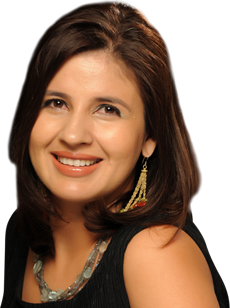 Cooking and heat processing destroy raw food enzymes, placing the full burden of digestion on the pancreas and other digestive organs. 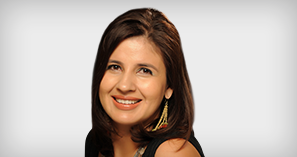 Fewer enzymes may be excreted in certain health conditions. 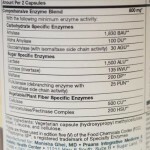 Supplemental enzymes can assist in the breakdown of food and enhance the absorption of vitamins and minerals by reducing food to its essential elements. 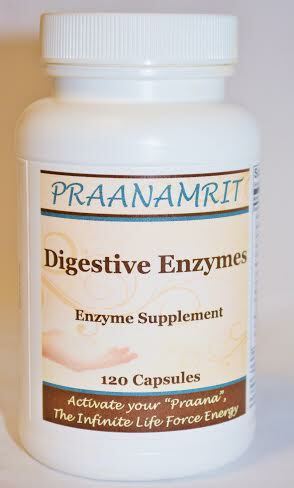 • Plant-derived enzymes: PRAANAMRIT® Digestive Enzyme is a vegetarian formula containing enzymes that are active across a very broad pH range, making them effective throughout the entire GI tract. 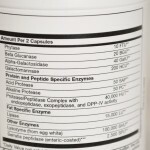 • A comprehensive blend of active enzymes: The broad-spectrum combination of enzymes in PRAANAMRIT® Digestive Enzymework together to maximize the breakdown, absorption, and utilization of macronutrients from a wide spectrum of foods, including proteins and protein peptides, carbohydrates, disaccharides, and sugars, lipids/fats, and vegetable fibers. 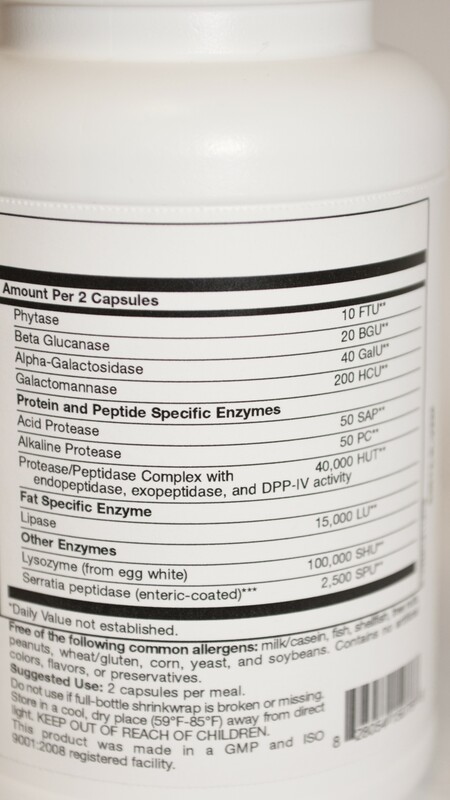 Special proteases (protein-specific enzymes) are included that have Dipeptidyl peptidase IV (DPP-IV) activity to support optimal cleaving of casein and gluten and their exorphin peptides (casomorphin and gluteomorphin). 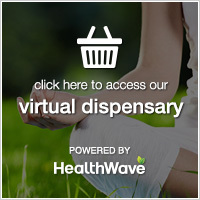 Serratia peptidase, a unique enzyme that helps protect sensitive GI tissues from irritation, and lysozyme, an enzyme that helps break down bacterial and yeast cell walls, are also included. • Hypoallergenic ingredients: This product contains highly purified, filtered enzymes to meet needs of food-sensitive patients. It is free of porcine or other animal-derived enzymes and avoids fruit-derived enzymes (bromelain, papain, kiwi) for maximum tolerance. 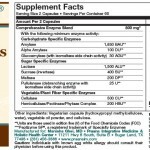 It is also free of milk/casein, fish, shellfish, tree nuts, peanuts, wheat/gluten, corn, yeast, and soybeans. 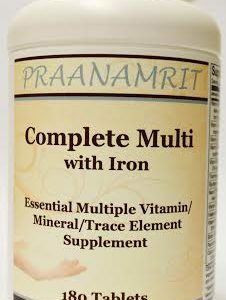 PRAANAMRIT® Digestive Enzyme can be used by children or adults, as a general digestive aid, or when gastrointestinal function has been compromised by maldigestion, malabsorption, dysbiosis, or intestinal inflammation. 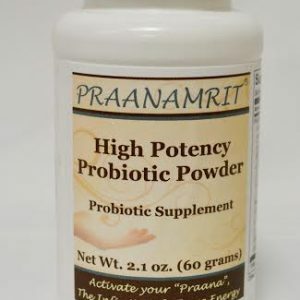 This high-potency, multi-enzyme formulation offers an unusually complete range of plant/microbial-based enzymes that work in concert to help maintain normal enzyme levels that support the body’s digestive capabilities and assist intestinal repair mechanisms.